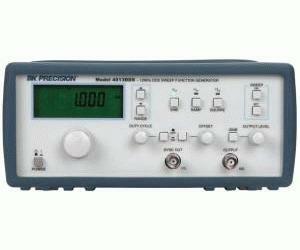 The model 4013DDS is a versatile sweep function generator utilizing an advanced direct digital synthesis (DDS) design. The unit generates superb quality waveforms with high signal precision and stability. It provides sine & square wave outputs over the frequency range from 0.1 Hz to 12 MHz in one extended range (triangle/ramped wave outputs to 1MHz).